Ray Brandt Mazda is a metro New Orleans Mazda dealership in Harvey, Louisiana. 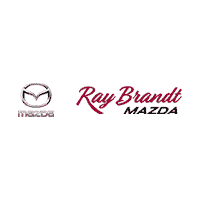 Ray Brandt Mazda is part of Ray Brandt Automotive Group, which offers new car dealerships across many foreign and domestic automotive brands, with a large inventory of new and used cars for sale in New Orleans, Louisiana and the surrounding metro area. Our Mazda sales department has one purpose: to exceed your expectations from test drive to purchase. Our professional sales team is committed to a no-pressure, high integrity approach to your Mazda ownership experience. Our goal is for you to feel that the new or used Mazda vehicle you drive away in is the perfect one for you. Our online inventory of new Mazda and pre-owned vehicles is updated daily. We invite you to schedule a test drive or stop by our showroom to experience all that we have to offer. We have assembled a team of professionals specializing in a variety of financial solutions. We work with many financial institutions to assist every customer with their unique credit needs. For a quick response, you can get pre-approved for a car loan or auto lease online. It only takes a few minutes to complete our secure Mazda finance application. Our Mazda service department offers the best in automotive service to our customers. Our state-of-the-art facility features the most current diagnostic and repair equipment available for Mazda cars, trucks and SUVs, and our highly skilled factory-trained Mazda technicians will deliver efficient, quality vehicle care. When you need service on your new or used Mazda vehicle, feel free to schedule a Mazda service appointment online. Manufacturer recommended parts are an important part of maintaining your vehicle’s optimum performance. We offer the same high quality OEM Mazda parts your vehicle was built with and we keep a large inventory of these certified parts in stock at all times. If you’d like to order a part, please fill out our online Mazda parts order form.